How is power flushing of your central heating system done and why do you need one? If your radiators are cold at the bottom and hot at the top or some remain completely cold, this is a sign that your heating system needs to be power flushed. Such malfunction is usually caused by excess debris buildup (sludge, rust, and more) inside the radiators or pipes. Generally, the older your heating system is, the higher the chances are that you will have to powerflush it. Cleaning your heating system from the contaminants found within will have an instant positive impact on its overall efficiency. At the end of your service, you can expect your boiler or radiators to heat up faster and run more quietly than before. By power flushing your central heating, you will also pay less money for electricity and can enjoy higher water temperatures. 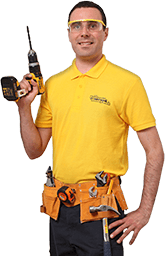 To perform the service, your Gas Safety registered engineer will connect a special machine to your central heating system. The power flushing unit will then release a liquid chemical under low pressure, which will dislodge any sludge and rust that have accumulated in your radiators and boiler and will protect them from future buildup. After 3 to 4 hours, the debris will be gone for good, allowing fresh and clean water to once more freely flow through your heating system. Your technician will use a professional Norstrom Proflush machine with a high flow rate. The unit is filled with a powerful descaling and sludge removal product that will deal with the blockages without causing your boiler, radiators, or heating pipes any harm. Upon service completion, the specialist will add a corrosion inhibitor product to the clean water and will troubleshoot your heating system to ensure that it evenly distributes the heat throughout your property. Why are the pipes of my heating system clogged? With time, the water that runs through your boiler, radiators, and heating pipes will start leaving some waste products behind. These include rust, dirt, and other particles, which coagulate together to form a mud-like substance, commonly referred to as “sludge”. Why are my radiators leaking? As your radiators grow older, the metal will slowly start to break down. This process is called dezincification and can significantly damage your heating system if left unattended. How long does it take to power flush my central heating? The power flushing unit will be connected directly to your central heating system, so you won’t have to drain your radiators, remove them from the walls, or do anything of this sort at all. However, the whole procedure will normally take anywhere between 3 to 4 hours to complete. Why is my boiler sounding like a boiling kettle? In a clogged heating system, the water is not being pumped out efficiently. This puts more pressure on your system as it struggles to maintain the normal flow of water, thus producing unpleasant noises. Power flushing your radiators and boiler should take care of the problem. What can I do if my system suffers regular pump failures? You need to power flush your system as soon as possible. Should I carry out power flushes on a regular basis? This depends on the heating system that you currently own. However, a thorough power flush every 5 to 6 years should keep your boiler, radiator, and pipes in tip-top shape.